With the release of version 2 of PerfectIt, it seemed the ideal time to put some questions to Daniel Heuman, managing director of Intelligent Editing. I've been a PerfectIt user for some years and I'm looking forward to upgrading to the new version. Visit the Intelligent Editing website for more information about PerfectIt. You might also like the PerfectIt User Forum, where you can ask questions, suggest improvements and download style sheets. Louise Harnby: For the benefit of those who’ve never used PerfectIt, Daniel, tell us a bit about what it does. Daniel Heuman: PerfectIt is a consistency checker. Just as you have a spell checker for spelling, and a grammar checker for grammar, PerfectIt checks documents for consistency mistakes. For example, if you hyphenate "copy-editor" in one location in a document, it’s important to make sure that’s consistent throughout. So PerfectIt checks consistency of hyphenation, capitalization, abbreviations, numerals in sentences, list punctuation and many other things. PerfectIt also helps check points of style. PerfectIt can be customized with house style preferences and used to check those. For example, one editor programmed PerfectIt to check WHO (World Health Organization) style and made that available to all users. Anyone wanting to check WHO style can just load up that stylesheet and PerfectIt will check for over 1600 preferences. From "hyponatraemia" (not "hyponatremia") to "corrigenda" (not "corrigendums"), that’s an invaluable resource to anyone working with the style. Finally, PerfectIt helps tidy up documents. It checks that abbreviations are defined, that users haven’t left notes to themselves in text (e.g. "NB: insert figure here") and it can create a table of abbreviations (automatically locating all abbreviations and their definitions) in seconds. LH: I was discussing all things business to a friend of mine who’s a marketing manager. He writes a lot of quite lengthy reports for internal and external use. I suggested PerfectIt to him and his response was: "I don’t see the need for something like that – there’s a spell check on my PC and I’ve got a good eye.” What would you say to him? DH: I’d probably scream “oh-my-god-you-are-wasting-your-life!” Actually, that’s not true … I’m English, so I’d probably roll my eyes and walk away! The truth is that there are two reasons why he should be using PerfectIt. The first is speed. How long does it take him to find one inconsistency? He needs to read through his entire text, locate each word that is capitalized and check/remember to capitalize that word throughout. Then he needs to do the same for hyphenation, abbreviations, heading case, and so much more. PerfectIt finds all of that in seconds. He really is wasting his life by doing it the long way. The second reason for him to switch to PerfectIt is quality. PerfectIt helps users to really take pride in their work. It isn’t possible for the human brain to keep track of consistency once documents pass several thousand words. Some 80% of documents over 1000 words that are published online contain a capitalization inconsistency, and over 60% contain a hyphenation inconsistency (see The Top 10 Consistency Mistakes). Even if we restrict it to spelling, over 20% of documents over 1000 words that are published online contain a spelling inconsistency. There’s nothing a spell checker can do about that last category. The word "adviser" and "advisor" are both correct spellings. But if they appear in the same document, that’s an inconsistency. Some people won’t ever be convinced. But the stats are real. And as soon as they try PerfectIt, they get it. DH: My background is in economics, and I started out as an economic consultant. Most of the tests that PerfectIt carries out are based on real world experience at that time. For example, we’d deliver reports for businesses and government, but at the end of each report we’d have to go through carefully and make sure that bullets were consistently capitalized and punctuated. We’d check that abbreviations were defined in their first instance, and that they were only defined once. So PerfectIt was designed very much for that market, with a focus on consultants, engineers, lawyers, and medical professionals. It was only when PerfectIt was released that it was adopted by the editing community, translators and technical writers. In terms of overall revenue, the big companies are probably more significant. But in terms of volume, it’s the individual editors who have been most important. 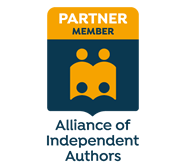 I stopped counting sales to members of the Society for Editors and Proofreaders after it reached 100. And the success is similar with other editing societies around the world. But it’s not just about volume. Editors are wonderful customers because they send feedback. Is there any group in the world better at spotting flaws in editing software? You better believe I get a lot emails with examples that PerfectIt has missed. The result is that we’re always improving the product based on the mails we get. LH: I’ve been pleased to see that you email me and your other customers with updates every now and then. Can you tell us about the driving factors behind these updates? And if f I say to you, “I’d really like it if PerfectIt did X or Y”, might I expect to see my suggestion in future versions? DH: Yes, we can’t include all suggestions, but we have a place on our user forum where customers can bounce around feedback for future versions. For the first three years, those updates have all been free. And the ones suggested by users include support for multiple style guides, and the system for dealing with tracked changes in documents. After three years, PerfectIt 2.0 will be the first major version upgrade that users will have to pay for. PerfectIt has a permanent licence (no subscription fee or anything like that), so in order to justify people spending more money on it, we’ve had to load PerfectIt 2 with user requests and lots of other new features. In particular, we’ve added a "Back" button (possibly the most requested feature) and a system for generating reports on errors and on changes made, which is probably the second most requested feature. LH: And what are the biggest challenges you’ve faced during development? DH: The constant challenge is to choose between complexity and usability. The more features and tests we add to the product, the more complex it becomes. But what people love about PerfectIt is the ease of use. So we’re constantly trying to balance those two. With any new feature, the first question is: "Can we get the software to do that?" But the second question is: "Will it be easy for the user to understand?" LH: Does PerfectIt work for customers outside the UK? Some of the North American or Pacific Rim readers may be wondering if they can use it. DH: PerfectIt is international. It doesn't duplicate the functions of a spelling checker, but it will spot inconsistencies in language. So, for example, it won't correct "realise" or "realize". However, if "realise" and "realize" appear in the same document, that’s a consistency mistake. Whether you’re in Europe, North America or the Pacific Rim, a consistency mistake is still a consistency mistake. LH: People are often concerned about buying software and then finding out that it doesn’t do what they hoped. Can you try it before you buy it? DH: There is a free download on the website. Users can try it without giving any credit card details or other personal information. Just download it and run it on a document. When they try it, most people get what the product is about in seconds. The only suggestion we make is that PerfectIt is intended for longer documents. There’s no point in trying it out on a paragraph of text because that won’t contain many inconsistencies. Try PerfectIt on a document that’s over 1,000 words. Or better yet, try it on a document that’s over 10,000 words. That’ll show you what it can do. LH: What does the future look like at Intelligent Editing? Do you have any plans for additional software tools or plug-ins? PerfectIt 2 took an enormous amount of development time and effort, so it might be a while before we start anything new. However, there are a few projects under consideration, so we’ll let you know when we’ve decided. LH: I often post on this blog about my favourite editorial tools. Aside, of course, from PerfectIt, what are your favourite tools and resources? Anything you like … software, books, online resources and social media. DH: My favourite free tool for writing and editing is ClipX. It modifies the clipboard so that it shows the last 25 items that were copied, no matter what program they were copied in. After using it, I can’t understand why anyone would choose to work without it. It’s more for writing than for editing, but I think that Word’s "AutoCorrect" feature is underrated. Why write out the word ‘"necessary" when you can program AutoCorrect to spell the word in full when you type ‘"nry"? You can quickly build yourself up an entire vocabulary and save lots of time typing. I’m also a really big fan of Jack Lyon’s Editorium macros. Jack has put a lot of thought into the documentation, and the result is a system that helps you to work a lot faster. People don’t believe that faster keystrokes and saving a second or two each time can make a difference. But they really do. LH: And finally, tell us something that might surprise us! DH: In my other life, I’m a swing dancer. That’s partner dancing to big band jazz and old-time blues … and nothing at all to do with editing!